What Would Really Happen If Trump Closes the Border? What would really happen if Trump closed the Mexican-U.S. border as part of his declared emergency or by executive order? Not a lot. Allow me to explain. There was a gray and distant past in which there were no avocados available, or any warm climate produce, if it was out of season. When you visited the grocery stores in the 1970s and you lived in a cold climate, the only produce you found was what was shipped in from Florida and California. It’s one of the reasons parents filled their children’s Christmas stockings with expensive tangerines from the Sunshine State. It was a real treat to get out-of-season fruit. And guess what? We survived. Today, much of our consumer goods come from China, not Mexico. According to U.S. Department of Agriculture statistics, in 2012, $2.86 billion in fresh fruit was imported from Mexico, not a large sum. Although total U.S. vegetable import volume increased at an average rate of 5.1 percent in the last 12 years, it still doesn’t spell the economic disaster mainstream media pundits are peddling. Furthermore, what pundits are not telling you is that China imports to Mexico and then ships goods into the United States. Considering the rationing that occurred during World War II, it seems like a paltry sum to pay for the safety of Americans and the preservation of our Republic. That’s not to say that other industries would not be temporarily affected, including those workers who cross daily at the border for work. My argument is, of course, an oversimplification of trade policy, but that’s my point entirely. Trade disruptions are not the end of the world, but protecting these groups at the expense of our nation, could be the end of our world as we know it. Think about it from a different perspective. If we are so vulnerable to a disruption in trade at our borders that neocons are calling it a “grave” and “dire” mistake, how much of an independent nation are we? It just makes President Trump’s point that we are in a weak and vulnerable position on trade. Mexico’s biggest import into the United States, isn’t produce anyway, it’s automobile parts. In fact, produce isn’t even in the top five of goods exported from Mexico to the United States. After all, America is still a major bread basket in the world. 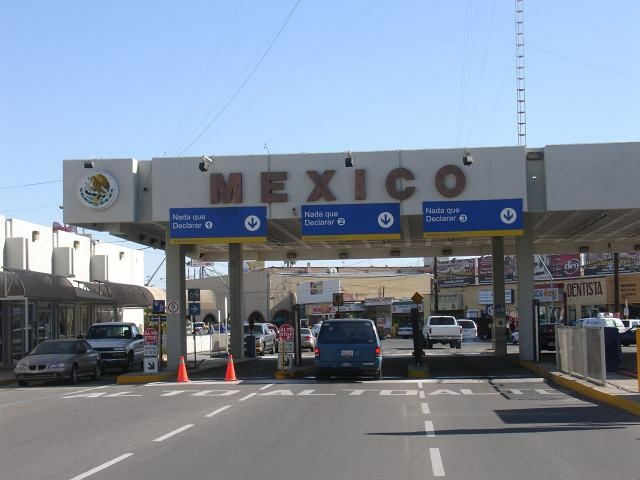 A border closure may disrupt corporate food profits and cause some inconvenience in manufacturing, but it isn’t going to break the United States in any measurable way. The rest of the world needs us a lot more than we need them. When stiffs like Senate Majority Leader Mitch McConnell and Senator Lindsey Graham wring their hands about what a grave mistake it would be to close the border, you should pay attention. That is, who’s interest have they always protected? Surely it has not been ours. And I have a long memory. I remember the entire media and the neocon establishment crying that Trump was going to start a nuclear war if he treated Kim Jong Un and North Korea as an actual power and paid him a cordial visit to break the ice and initiate actual peace talks. To date, North Korea hasn’t fired any more rockets. When Senator Lindsey Graham and other entrenched war mongers said moving U.S. troops out of Iran was a grave mistake, Isis fell. So forgive me if I think a little temporary trade obstruction to shake up the sleeping Congress might be in order. And although Lindsey Graham became his own Spartacus following the confirmation hearings of Justice Kavanaugh, I haven’t forgotten his 180 after the death of John McCain. After all, he has an upcoming election to win. Being anti-trump and pro McCain, isn’t going to get him re-elected in the red state of South Carolina. The pros of immediately closing the border far out way the cons. Every single illegal immigrant that crosses the border is a threat to our Social Security system, welfare system and educational and health systems. When I see young, able-bodied men climbing fences, I see thieves stealing from Americans. We already know that Democrats are not going to come to the table to fix the immigration system. They’ve said as much in no uncertain terms. Unless big business and the nations of Mexico and China are affected, the neocons in Congress are not going to come to the table to fix immigration either. There is no other way to stop this illegal immigration invasion and bring the corporate neocons to heel other than to temporarily shut the border. Big change never happens without chaos. By this time, we conservatives should have learned a thing or two from the progressives. The left doesn’t respect timid rhetoric or policies, but they do understand power.